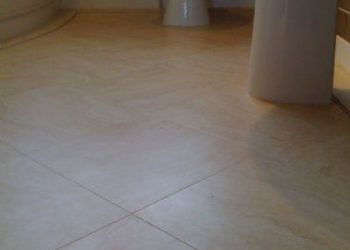 We fitted this Amtico into a guest cloakroom and very small en-suite. Each area was no larger than 1 metre by 1 metre. Carefull consideration needed to be given to the layout to ensure that it wasn't over complicated whilst still maintaining that 'design floor effect'. If you look carefully you will see that the border is made up of three individual design strips. 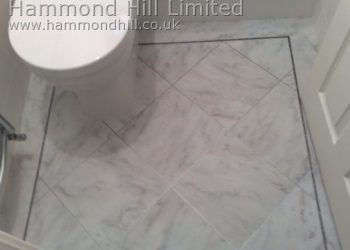 Designed, supplied and fitted by Hammond Hill Limited. Showhome for David Payne Homes Limited. The hall and cloak room has been fitted with Amtico 'Essentials' Savannah Stone. The perimeter is finished with a tramline border using 4mm Wenge Wood stripping. Notice that the cut tiles are 'mirrored' on either side of the hall and that the plain outfill retains a uniform width. 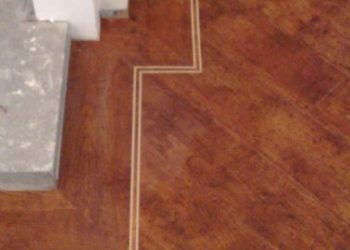 We offer a full supply and professional installation service for Amtico and Spacia flooring. Designed, supplied and fitted by Hammond Hill Limited. 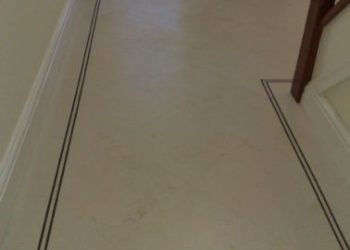 We fitted this Amtico floor to the Hall, Dining Room and Guest Cloak Room of a period house in Bedfordshire. None on the walls were square and we were faced with some very unusual angles but by 'cutting in' the single plank border we were able to square things up. Seen here with a 'tram-line' border. We supply and fit Amtico flooring all over the UK (subject to minimum quantities). 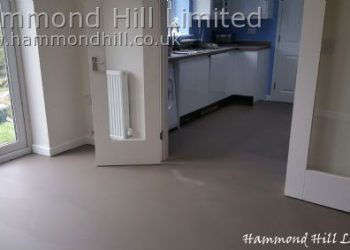 Designed, supplied and fitted by Hammond Hill Limited.